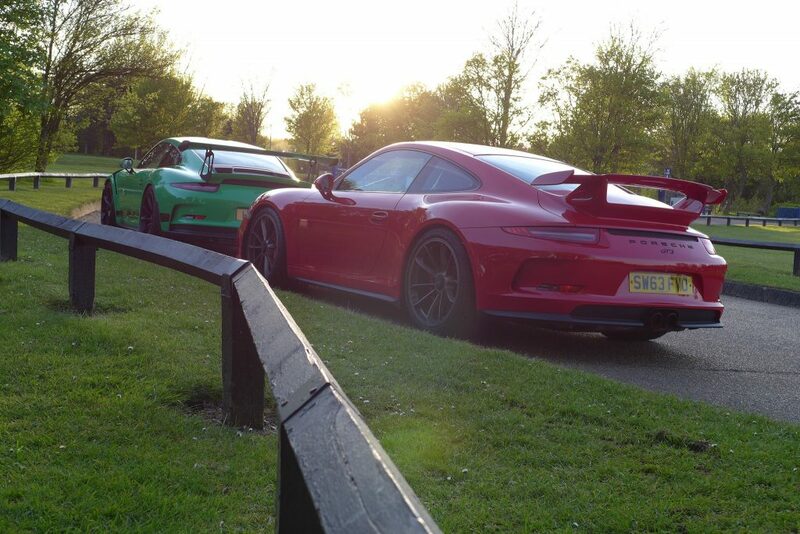 You think you know pretty much everything a 911 GT3 has to offer. But I keep forgetting, this is no ordinary car and I’m smacked sideways and asked to attention. Let’s see now. This is my 6th GT3, over the course of about 12 years. I’ve done a lot in these cars and they’ve all followed their predecessors by being equally competent with incremental improvements in all areas from engine, handling, ergonomics and aesthetics. It’s always pleasing, having spent so long in each variation, that jumping into the next new model I take for granted what the GT3 offers, as a package, without being too sideswept by any one single significant change. But this car is a totally different story altogether. I’ve driven the car with enthusiasm, but not with anger. 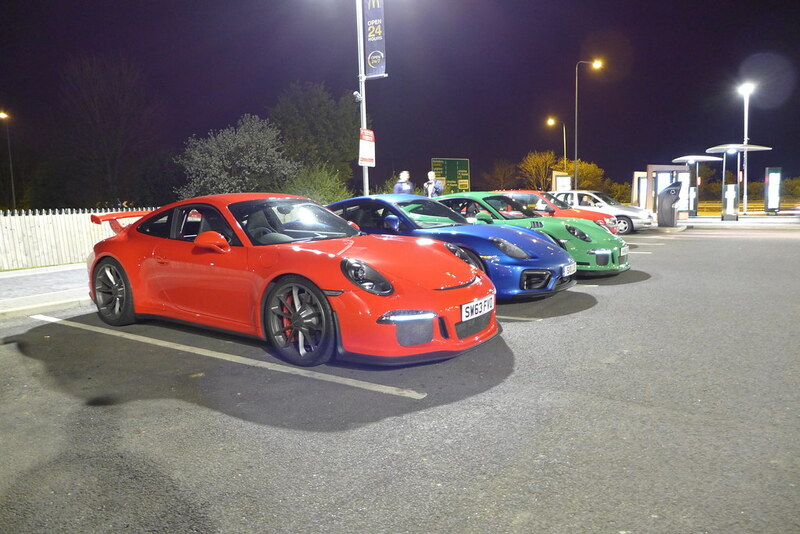 Coming back from Scotland on my maiden voyage, I had the wife planted right next to me like some insurance blackbox, so it wasn’t until I ventured out of London again a few nights ago that I popped up to Milton Keynes to swap notes with Glenn who has recently taken delivery of his green RS. I’m not sure if you’re familiar with Milton Keynes, but it’s a delightfully mundane place sapped of any spirit or soul in its ultimately efficient city planning with its perfect grid like sectioning of its different districts. If you know Sim City, Milton Keynes would be the resulting output. But for all its failings for beauty and character, it has somehow granted its local populace with what appears to be a road legal racetrack. With 70mph dual carriageways everywhere interspersed every mile with a roundabout of unique style and character, it is a place built not for people, but for cars. 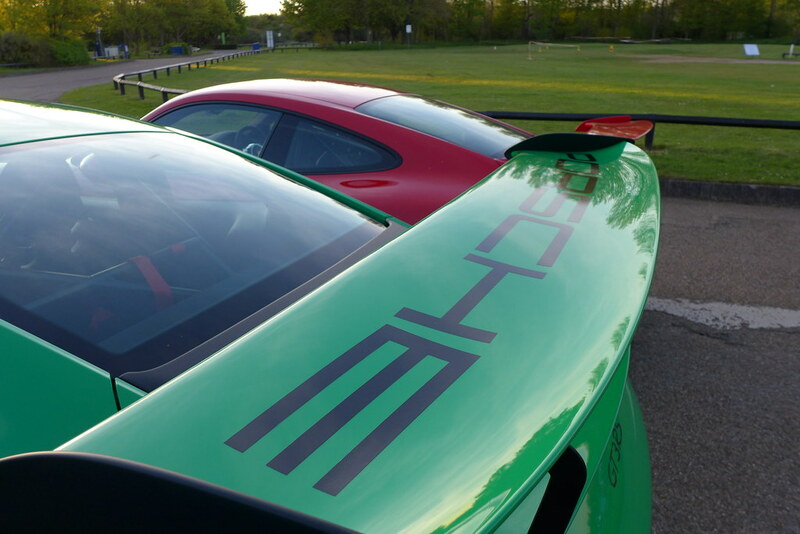 Very fast and very competent cars. It’s here that I discovered that my car isn’t just an incredible road car with competence from all corners of the car judgement book, but it is apparently also a portal to one of the nine circles of hell. The GT3 is a quick car. It’s got Porsche 470BHP, but feels like 550 BHP. It has a relatively lightweight body, but the combination of a screaming 9,000 RPM engine behind your ears, low seating position and incredibly well engineered sense of NVH, it amplifies the feeling of fast. Now none of this is new, almost every GT3 I’ve ever owned has adorned similar qualities so what is it about the 991 that makes it such a different experience? It’s the PDK. It is the most incredible gearbox I’ve ever used that’s for sure, but the seamless flow of power all the way from first to overdrive seventh is a relentless urge that does not stop once for breath. It’s this added violence to an already visceral car that takes any concentration you would have normally reserved for a gearchange, instead deploying that 10% unused brain capacity to driving like a complete arse. The added speed the car now carries due to this effortless ambition does mean you’re in slightly more dangerous territory and that beautiful trait the GT3 has in communicating direct to the driver starts to talk to you like some guy at a party having just hit his first ever high. That shuffle as the engine mounts lean on the chassis as you take roundabouts with gutso persists but in a more hectic manner. Everything it’s doing is delightfully transparent and allows you to have full conversations with the car, judging each wheel independently as it bobs up and down on the road surface. And you’re motoring. Very very quickly. 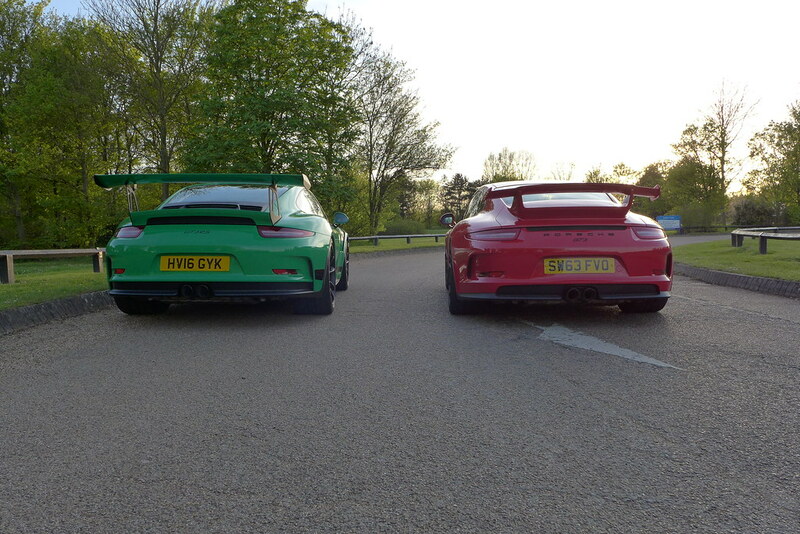 Soon your mind intervenes and contemplates the moral dilemmas of road decency lest you make an absolute mockery of every single road law in the UK, because the 991 GT3 is, again, better than you every will be. Just when you think you’ve sussed it, you discover a new trait you never knew existed as it keenly whispers in your ear, ‘come and have a go if you’re hard enough’. Although the gear shift has been replaced with a lever behind the wheel, you’re just as involved, just as active in its involvement and, ultimately, just as exhausted at the end of it. In just the same way you get off a roller-coaster ride, slightly bemused recognising that something ridiculous just happened, but you need the next 30 minutes to analyse it, the 991 is smug in its complete apathy of your nervous system and state of emotional turmoil. That’s fine though. I’ll let it have tonight. It caught me out. I challenged it but in the end, found myself being challenged. As I drove back home down the M1 in full automatic mode, I had BBC R3 playing in the background trying to act as a calming lullaby. And it works. It will happily sit at 70 MPH all the 45 miles back home and not once give me any complaints. But then all it takes is the sight of an empty slip road leaving the M1 for me to pull the leavers into manual mode, switch the exhaust and PDK to sport mode and drop down 4 gears. I’ll take the long way home again. Besides, I’ve just decided to call in sick tomorrow. Sorry all I’m unable to provide any objective or subjective poetry on the merits of either car. Both cars are crazy rapid on the road and extraordinarily competent. 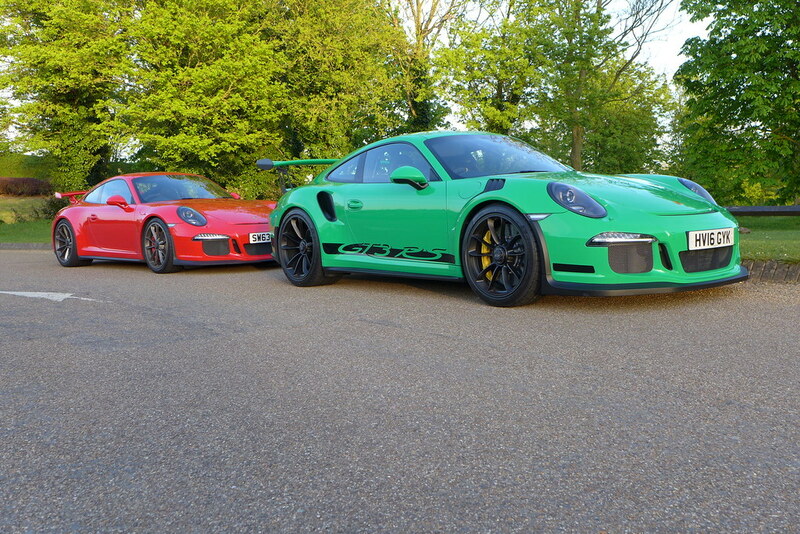 The RS has immense road presence and in green the car looks even more captivating. I will say just how much additional engineering work has gone into the RS over the baseline GT3. Full front carbon wings, bonnet, magnesium roof, perspex rear glass, totally different boot with ram air vents both in rear wing and on front arches. Not to mention also the 4.0 engine.